A Florida research group released a report yesterday on how to improve the state’s ethics laws, using results from the State Integrity Investigation as a basis for reform. The Sunshine State ranked 18th out of 50 states in the investigation, with an overall grade of C-. Integrity Florida, a nonpartisan, nonprofit organization that promotes integrity and exposes corruption in state government, has previously held presentations around the state to share the conclusions of the State Integrity Investigation’s corruption risk scorecard for the Sunshine State. The group’s new report, “Corruption Risk Report: Florida Ethics Laws,” identifies key policy changes — such as increasing penalties for ethics violations and creating a corruption report hotline — that could help the state move towards an A grade. “Integrity Florida is using State Integrity Investigation results as a roadmap to focus our state-level research projects and as a scorecard to measure policy results,” the report states. Among the reform recommendations is a multi-faceted plan to improve ethics enforcement, a category in which Florida failed on its risk scorecard, particularly by giving the ethics commission authority to self-initiate investigations. 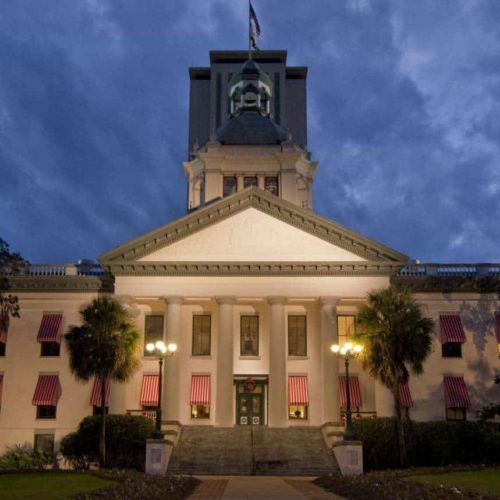 Dan Krassner, Integrity Florida’s executive director, said the new report was timed to precede the Florida Commission on Ethics’ June 15 meeting — a meeting at which the commission will set its priorities for the 2013 legislative session. The Commission has continuously sought additional resources and greater power, and Krassner said he hopes the commission will include the authority to self-initiate investigations as part of its agenda. Integrity Florida has also met with senior members of Governor Rick Scott’s staff, who received an advanced copy of the group’s report. Lane Wright, press secretary for Gov. Scott, said he could not comment on specifics in the Integrity Florida report, but maintained that Florida is among the nation’s leaders in open government. Krassner said there is a grassroots demand for ethics reform in Florida, which he expects will continue, especially through this year’s election. “Voters are making it known — in more ways than they have in the past — that corruption is a problem we can’t stand for any longer,” he said.